An hour later, the doubts were gone. 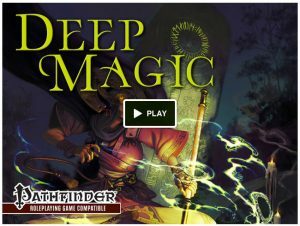 Your support for the Deep Magic Kickstarter has been incredible! I kept thinking, “Well, wow, that sure was an awesome start. I’m sure it’ll taper off here so I can go eat lunch” (or whatever). I’d come back and be BLOWN AWAY at the progress. Fully funded in six hours! First two stretch goals in the next 6 hours! I don’t even…. 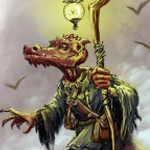 And now the Paizo blog has chimed in with some comments on Deep Magic as well! That’s just an amazing capper to a day I thought could not get any better. I don’t know what made this Kickstarter stand out to the Paizo crew, but it means a lot to me to know that they are encouraging third-party publishers to bring their A-game, and that they are fans of good work, no matter who publishes it. Thank you all. I’m thrilled that the core book is happening, and we’re adding goodies at a great clip. This project has more amazing tricks still to summon, conjure, and enchant. A few are very shiny indeed. Please keep spreading the word about Deep Magic. I will do my damnedest to keep making this project bigger and better. 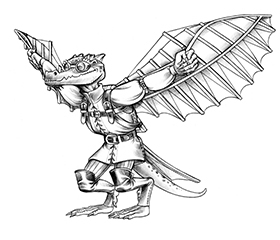 Take a peek at how Paizo is supporting this marvelous project, too!